Born in Plymouth, England, in 1944, Ann Noël has lived and worked in Berlin since 1980. Her multidisciplinary background integrate painting, graphic design, printmaking, photography and performance. She studied in the Bath Academy of Art in Corsham, where she could get in contact with such artists as Ian Hamilton Finlay and John Furnival. 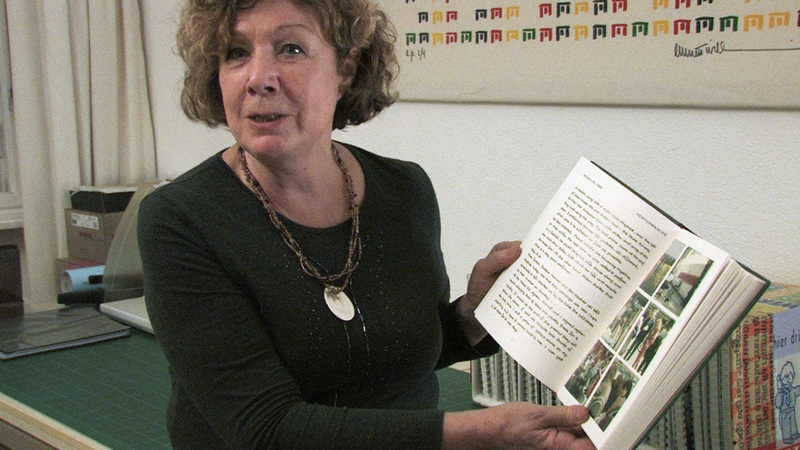 After graduating with a diploma in graphic arts and design in 1968, she was invited to Stuttgart, Germany, to work with Hansjörg Mayer, a former mentor at the academy and one of the first publishers of artists’ books by Robert Filliou, Richard Hamilton, Dieter Roth, André Thomkins, Emmett Williams and so many others. Since the early eighties she became an active part of the Fluxus movement participating in all kinds of events and performing alone or in group, especially in collaboration with her husband Emet Williams. They performed around the World and she is still performing in the frame of Fluxus Art Group. Her graphic work has been exhibited internationally, and includes recent projects at the Biennales in Venice, Liverpool and Lodz, Poland. 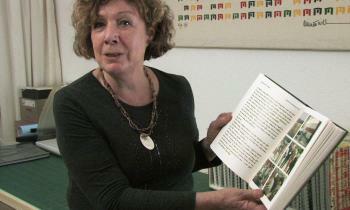 She is also author of six artist’s books published by Rainer Verlag in Berlin. This sound, Ann Noël, by elaa-girona is licensed under a CC BY-NC license.